Kristoffersen, Magnus; Andersen, Tom & Andresen, Arild (2014). U–Pb age and Lu–Hf signatures of detrital zircon from Palaeozoic sandstones in the Oslo Rift, Norway. Geological Magazine. ISSN 0016-7568. 151(5), s 816- 829 . doi: 10.1017/S0016756813000885 Fulltekst i vitenarkiv. Jorde, Knut & Andresen, Arild (2018). Berggrunnskart BJOREIO 1415-1, M 1:50 000, Norges Geologiske Undersøkelse. Jorde, Knut & Andresen, Arild (2018). Berggrunnskart EIDFJORD 1415-4, M 1:50 000. Svendby, Anne Katrine; Osmundsen, Per Terje; Andresen, Arild & Andersen, Torgeir Bjørge (2017). Transtensional basins from fault growth to bulk constriction: insights from the `Old Red´ basins of western Norway. Andresen, Arild (2016). Geologi og mineralforekomster I Eidsvollområdet. Andresen, Arild (2015). Norske hydrokarbon- og malmforekomster: Dannelse og opptreden..
Andresen, Arild (2015). Provenance of Triassic sediments in the Barents Sea: What do we know and what do I want to know?. 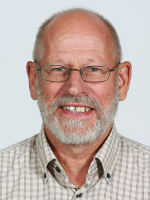 Andresen, Arild (2015). Source to sink relationships for Paleozoic and Mesozoic sands in the Barents Sea and Circum-Arctic Basins..
Andresen, Arild (2015). Svalbard - A window into the geology of the Barents Sea. Steltenpohl, Mark G.; Agyei-Dwarko, Nana; Andresen, Arild & Verellon, Devon (2015). Baltican versus Laurentian crust in the Norwgian Caledonides between latitude 67deg and 69 deg N; implications for Mountains across oceans. Svendby, Anne Katrine; Osmundsen, Per Terje; Andresen, Arild & Andersen, Torgeir Bjørge (2015). Syntectonic sedimentation in the constructional Kvamshesten basin, western Norway..
Andresen, Arild & Gasser, Deta (2014). The Svalbard Caledonides – a collage of Laurentian, Timanian and exotic terranes assembled by Silurian - Late (?) Devonian transcurrent faulting. Andresen, Arild; Hauge, Kristina & Gasser, Deta (2014). Extension versus contraction in the East Greenland Caledonides. Kristoffersen, Magnus; Andersen, Tom & Andresen, Arild (2014). U-Pb age and Lu-Hf signatures of detrital zircon from Palaezoic sandstones in the Oslo Rift, Norway. Steltenpoh, M.; Andresen, Arild; Augland, Lars Eivind; Prouty, J. & Corfu, Fernando (2014). Implications of Laurentian Grenville crust in the northern Scandinavian Caledonides. Andresen, Arild (2013). Basin development and orogenesis in the North Atlantic-Barents Sea Region. Andresen, Arild (2013). Geologi, kulturhistorie og natur fra "Eirik Raudes Land", NØ Grønland. Andresen, Arild (2013, 11. juni). Synkehull og utrasninger. [TV]. NRK. Andresen, Arild (2013). The late Caledonian structural grain and its influence on Late Paleozoic and younger basin evolution in the North Atlantic -Barents Sea Region. Augland, Lars Eivind; Andresen, Arild & Steltenpohl, Mark G. (2013). U-Pb ID-TIMS zircon ages and coupled Lu-Hf S-ICP-MS data - A tool for terrane characterisation and determination of paleogeopgraphic affinities: An example from the Caledonides. Bue, Edina Pozer; Andresen, Arild & Dypvik, Henning (2013). New U-Pb LA-ICPMS zircons provenance age data on Triassic sandstones (Vilchekov, Vasilyey and Thegetthoff formations) from Franz Josef Land: Preliminary results. Bue, Edina Pozer; Andresen, Arild & Nystuen, Johan Petter (2013). Zircon provenence data from Triassic sediments on Bjørnøya, the Urd and Skuld formations:new constraints on depositional models in the Western Barents Sea. Hauge, Kristina; Gasser, Deta; Andresen, Arild & Sunde, Øyvind (2013). The Rendalen-Grejsdalen transect of the North-East Greenland Caledonides:New field observations from NE dipping normal faults bounding a migmatite complex. Pozer Bue, Edina; Andresen, Arild; Nystuen, Johan Petter & Dypvik, Henning (2013). Tracking the progressive filling of the Barents Sea in the Mesozoic using zircon age data. Steltenpohl, Mark G.; Andresen, Arild; Prouty, Jonathan; Carter, Brad & Buchanan, Wesley (2013). Late-and-post Caledonian tectonic exhumation of middle-and lower-crustal rocks exposed in the region between Bodø and the Lofoten Islands, north Norway (Latitudes 67.5-69o). Andresen, Arild (2012). The Caledonide Orogen - Anatomy and evolution of a collisional orogen. Andresen, Arild; Augland, Lars Eivind; Moecher, David; Richarde, Gabriel; Bruechner, Hannes & Ravna, Erling J Krogh (2012). P-T-t constraints on subduction and exhumation of the Liverpool Land Eclogite Terrane (LLET), East Greenland Caldonides. Augland, Lars Eivind; Andresen, Arild; Corfu, Fernando; Simonsen, Siri Lene & Andersen, Tom (2012). The Beiarn Nappe Complex: a record of Laurentian Early Silurian arc magmatism in the Uppermost Allochthonon, Scandinavian Caledonides. Buchanan, John; Bowman, Dannena; Steltenpohl, Mark G.; Hames, Willis; Augland, Lars Eivind & Andresen, Arild (2012). 40Ar/39Ar muscovite thermochronology and structural evolution of southern Liverpool Land, East Greenland. Gasser, Deta & Andresen, Arild (2012). Caledonian terrane amalgamation in Svalbard: Detrital zircon preovenance of Mesoproterozoic to Carboniferous strata from Oscar II Land, western Spitsbergen. Halvorsen, Erik; Løvlie, Reidar; Andresen, Arild; Polteau, Stephane; Walderhaug, Harald & Faleide, Jan Inge (2012). Complete Cenozoic remagnetization of Cretaceous sills and lavas from the High Arctic Igneous Province (HALIP) on Svlabrad imposed during faulting and burial/uplift. Andresen, Arild; Lundmark, Anders Mattias; Andersen, Tom & Boghdady, Gamal (2011). Constraining the Neoproterozoic East African orogen in the Eastern Desert, Egypt: combining U-Pb ID-TIMS ages, in situ LA-ICPMS Hf data and field observations. Bue, Edina Pozer; Andresen, Arild & Andersen, Tom (2011). Constraining depositional models in the Barents Sea using zircon provenance data from post-Permian sediments on Svalbard. Moecher, David; Richarde, Gabriel; Andresen, Arild & Augland, Lars Eivind (2011). Keeping it hot but not too heavy:Low pressure eclogite with a granulite facies overprint in Liverpool Land, East Greenland Caledonides. Andresen, Arild; Lundmark, Anders Mattias & Augland, Lars Eivind (2010). The East African Orogen viewed from Egypt. Anderson, Mark W; Steltenpohl, Mark G.; Hames, Willis; Key, Thomas B & Andresen, Arild (2010). Exhumation of the Baltoscandian continental margin during late-stage (Early Devonian) Caledonian contraction, northern Norway. Anderson, Mark W; Steltenpohl, Mark G.; Key, Thomas B; Andresen, Arild & Hames, Willis (2010). Late-stage Caledonian collisional tectonics of Northern Scandinavia-linked contractional and extensional exhumation of the Baltoscandian margin. Augland, Lars Eivind; Andresen, Arild & Corfu, Fernando (2010). A Baltican ancestry of the Liverpool Land eclogite terrane, East Greenland. Ali, Kamal; Andresen, Arild; Stern, Robert; Manton, W.I. ; Omar, S.A. & Maurice, A.E. (2009). Geochemistry, geochronology, Sr-Nd-Hf isotopes of El-Shalul Pluton Central Eastern Desert of Egypt. Andresen, Arild (2009, 10. november). Afrika revner. [Radio]. RadioSelskapet NRK P2. Andresen, Arild (2009). Geology of Svalbard. Andresen, Arild (2009). New isotope ages from NE Greenland and their implication for Caledonian orogenic evolution. Andresen, Arild; Augland, Lars Eivind & Lundmark, Anders Mattias (2009). The Eastern Desert Shear Zone: Age and tectonic significance.